Kamila Shamsie won the Women’s Prize for Fiction (2018), for her novel Home Fire – also long listed for the Booker Prize in 2017 – an extraordinary book that serves as a reminder of the times in which we live. Her other books include In the City by the Sea (shortlisted for the John Llewellyn Rhys Prize), Salt and Saffron that won her a place on Orange’s ‘21 Writers for the 21st Century’, Kartography, Broken Verses, Burnt Shadows (shortlisted for the Orange Prize for Fiction), and A God in Every Stone. She was one of the five judges for the Golden Man Booker winner and is one of the three judges for The Sunday Times Young Writer of the Year Award, 2018. Kamila, welcome to Kitaab! Congratulations on winning the Women’s Prize for Fiction. Sucharita: Antigone sets up a conflict that ruptures a family and raises complex ethical questions related to the personal and the state, family and identity. When you decided to write Home Fire, what was the immediate trigger to turn to Greek Tragedy and to this particular text? Kamila: Sometimes the best ideas come from other people. In this case, it was Jatinder Verma, the artistic director of Tara Arts in London who suggested to me that Antigone could work very well in a contemporary setting. That made me go back to the text, and as soon as I started reading it I saw how directly it spoke to our contemporary times. Sucharita: Home Fire is a political story firmly rooted in the age of global terror and what it does to individuals and families. It is also about the difficulty of moral certitude in an age of deepening schisms, most evident in Karamat Lone, making him perhaps the most conflicted character in the book, dealing with much more, it seems, than Eamonn or Aneeka – a complex, modern adaptation of Creon’s character in Antigone. The moral burden is terrifying and rests squarely on his shoulders. What led to this positioning of the book’s moral complexity? Kamila: I’m always interested in the ways in which different readers respond to the characters in the novel. Some see Karamat as shouldering a moral burden; others see him as acting out of political expediency with no interest in the moral questions. I prefer not to interpret the characters and get in the way of readers’ freedom to do so. So all I’ll say is that Karamat and Isma are the two characters who really inhabit the world of adulthood with all its messy complications and contradictions. 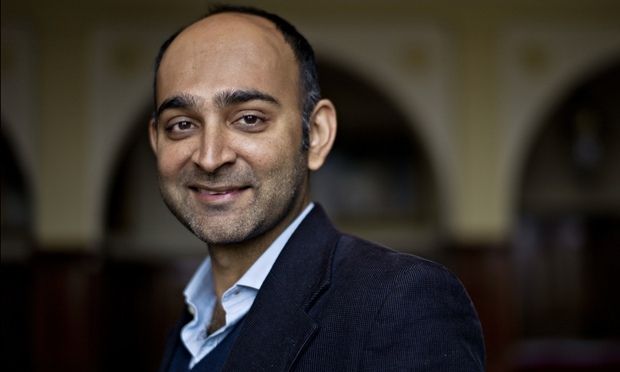 Sucharita: At the time of writing the book, the idea of a Tory from a Muslim immigrant, working class family as the country’s Home Secretary would have seemed unbelievable. In fact, you thought it to be ‘ridiculous’. Eventually, when Sajid Javid became Britain’s Home Secretary, how did the writer in you respond? What does prescience mean to a writer? Kamila: I would love to claim prescience, but the truth is, my first instinct was, as you say, that the idea of such a Home Secretary would be ridiculous, but then I thought a little harder about it and considered the fact that Britain had three prominent up-and-coming politicians from Muslim backgrounds: Sajid Javid, Sadiq Khan and Sayeeda Warsi. One or two is an aberration; three suggests that something has shifted in the political culture. That’s why I was able to create Karamat Lone – because I started to see that actually a Home Secretary from a Muslim background was possible. But it also seemed to me that Muslimness would be something he or she would have to find a way to negotiate around, possibly by creating distance from it. So what I’ll say about prescience is that actually it’s just paying attention to the currents around us and guessing what’ll happen if you move things forward just one step. American heavyweights Paul Auster and George Saunders are to go head to head for this year’s Man Booker prize, as major names from fiction fall by the wayside for two new faces on the 2017 shortlist. The prize judges, chaired by Baroness Lola Young, announced their shortlist of six titles on Wednesday morning. Alongside Auster and Saunders, the 29-year-old British debut novelist Fiona Mozley has secured a place in the final line-up, as did American first timer Emily Fridlund. Why is Pakistan alienated by the global literati? Indian author Anuradha Roy and British-Indian Sunjeev Sahota are among 13 international authors long-listed for the 2015 Man Booker Prize, the prestigious literary prize committee announced here today. Roy has been picked for her third novel, ‘Sleeping on Jupiter’, and Sahota for ‘The Year of the Runaways’, the committee said. “We had a great time choosing this list. Discussions weren’t always peaceful, but they were always very friendly,” said Michael Wood, chair of this year’s Man Booker judging panel. “We were lucky in our companions and the submissions were extraordinary. The long-list could have been twice as long, but we’re more than happy with our final choice. 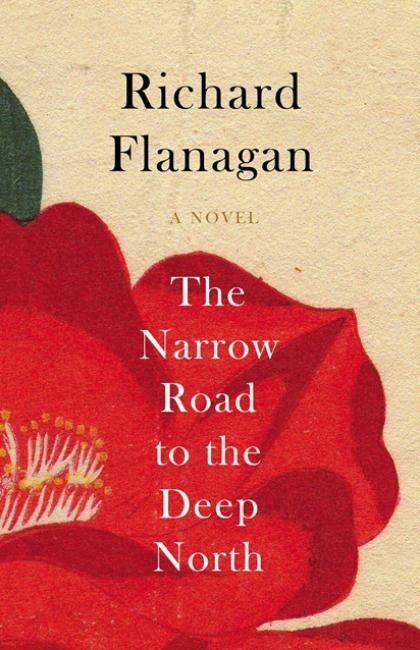 It was a triumphant year for Antipodean fiction, the vanguard led not by grandee Peter Carey’s Amnesia, but by the winner of the Man Booker prize, Richard Flanagan, who not only gave us an astounding love story in The Narrow Road to the Deep North (Chatto & Windus, £16.99), but dared to enter into territory – the cruelty inflicted by the Japanese on Australian PoWs – which Carey confessed his generation had feared to tread.